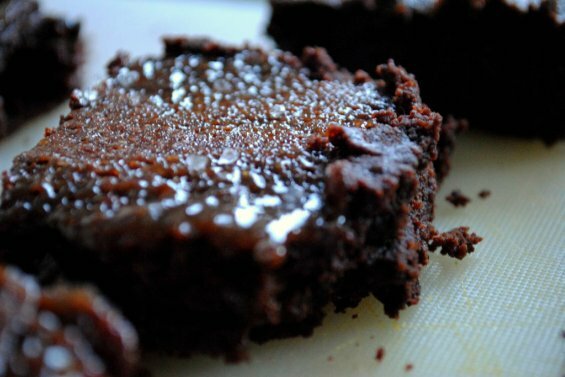 caramel brownies with sea salt. 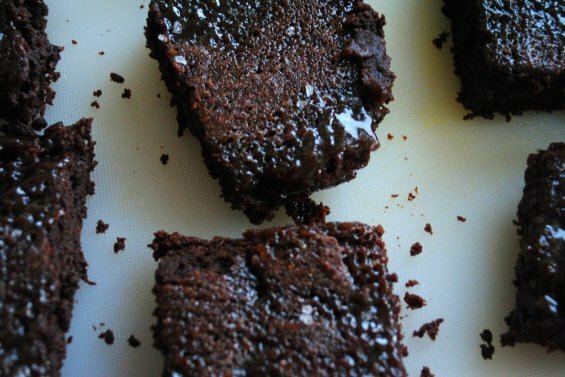 I am equally happy and ashamed to tell you that my love for brownies is here to stay. 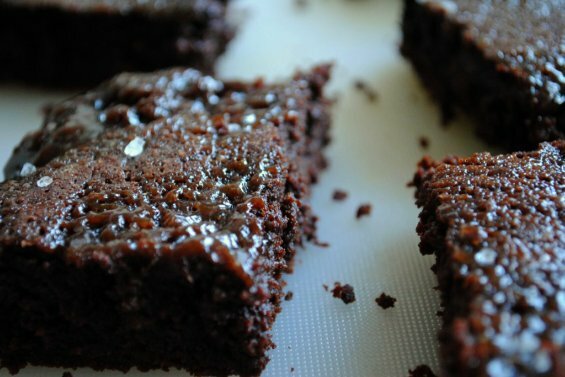 I'm starting to wonder if a bad brownie is possible... because so far, the (many) recipes I've tried have been amazing. This time, I made caramel sea salt brownies. Basically all I did was take my favorite brownie recipe, layer a homemade caramel sauce in between two layers of brownie batter, and sprinkle sea salt on top. I made the caramel sauce thin (again substituted half and half for whipping cream) which made the brownies extra moist but surprisingly not too sweet. *If you still need convincing, Tyler (a harsh, unbiased critic) said they are the best brownies I've ever made! ← rhubarb & strawberry tart with an almond streusel.